For more details on Leigh's live events visit Speaking Events. 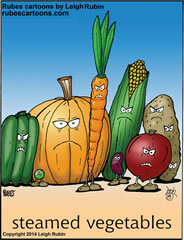 Welcome to the official Web site of Leigh Rubin's Rubes® Cartoons. This year, Rubes celebrates its 35th anniversary! 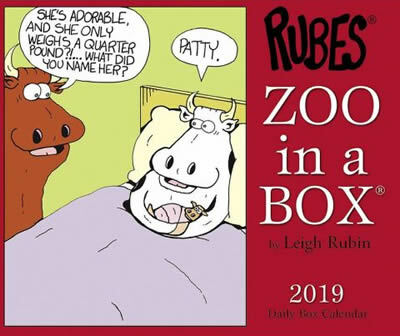 Rubes is syndicated in more than 400 media outlets worldwide and is distributed internationally by Creators Syndicate. In the fall of of 2018 Leigh received the honor of being named the first-ever Cartoonist-in-Residence at the prestigious Rochester Institute of Technology in Rochester, New York. 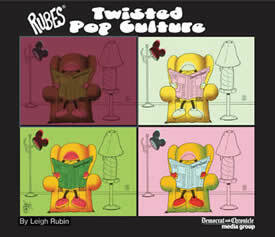 In addition to print, Rubes® also has appeared in advertising, on television and the big screen. 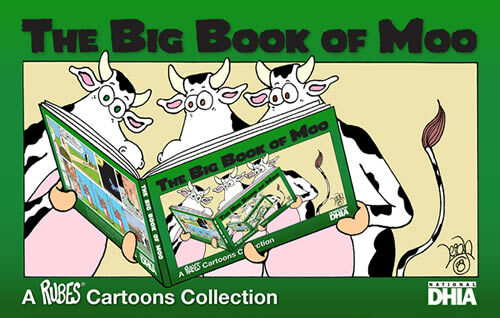 For more information, see our news page or our store to purchase any of the cartoon collections. You can also sign up for our newsletter. So what does Leigh do when he's not chained to his drawing table? Why, he's probably out gallivanting about, all over the country, at one his many funny and entertaining speaking events! 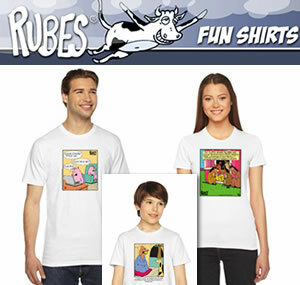 Rubes Fun T-Shirts for Whole Family!